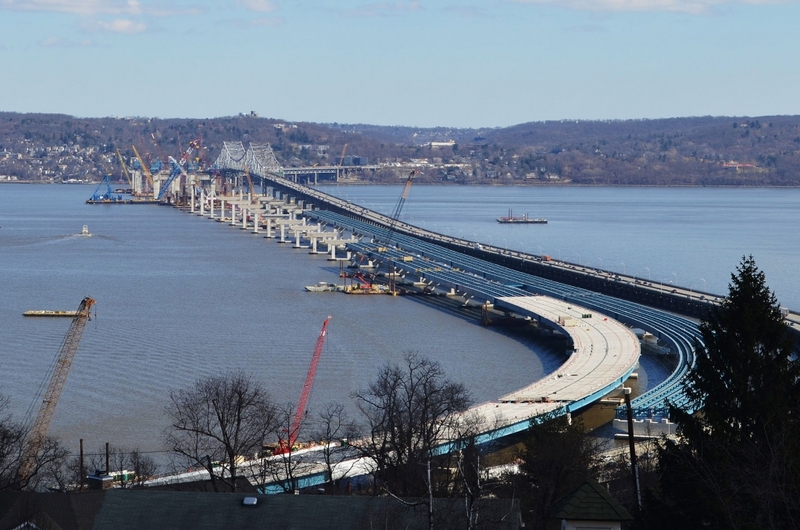 More tragedy has hit the Tappan Zee Bridge Replacement Project. Tappan Zee Constructors tugboat Captain Ed Smith suffered a medical emergency while towing a construction barge in high winds and rough waters last night near Haverstraw. With heavy hearts we offer our thoughts and prayers to his family. Fair winds and following seas, captain. 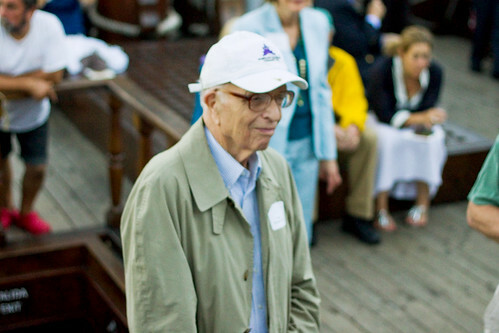 Peter Stanford, waterfront icon and founder of the South Street Seaport Museum and the National Maritime Historical Society, passed away on Thursday morning, March 24, 2016. 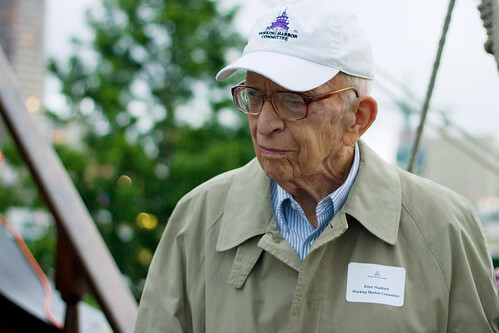 He was the founder of several maritime museums and organizations, including the Council of American Maritime Museums, the American Society of Marine Artists, the American Ship Trust, the Hudson River Maritime Museum, and the National Maritime Alliance. Always active on the waterfront, Peter Stanford and his wife Norma were responsible for leading the charge to preserve many of the historic ships we know and love – Peking, Wavertree, Pioneer, Lettie G. Howard and the lightship Ambrose – to name but a few. 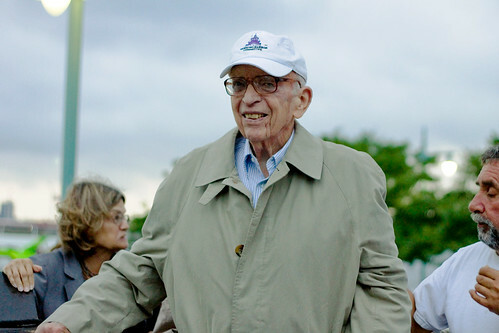 He co-founded events like OpSail ’76 for the bicentennial and the Statue of Liberty Parade of Sail – and was active in several maritime organizations, Lilac Preservation Project and as our Chair Emeritus of the Working Harbor Committee. Back in May 2002, when I was living in Boston and working as editor of Offshore Magazine, I got a call from my friend Peter Stanford, the silver-haired, silver-tongued septuagenarian who had founded South Street Seaport and served as president of the National Maritime Historical Society. He phoned to tell me about this “marvelous new idea” he and a couple of others had come up with to teach people about New York’s working harbor. The port that made New York the great city it is today was being forgotten, he explained, and the waterfront was being seen as a place for parks, condos and box stores. He and Huntley Gill, co-owner of the historic fireboat John J. Harvey, and Pamela Hepburn, head of the Tug Pegasus Preservation Project, met one evening to discuss this horrible state of affairs, and “over a few drinks” they conjured up a plan to make people aware that the working harbor was still important and needed to be protected. It was simple: They would offer boat tours of New York’s “Hidden Harbor.” “The best way to get people to care about something is to show it to them,” Stanford explained. “Brilliant,” I thought, and agreed to come down from Boston and write a story about the event. They arranged for a couple of New York Waterway ferries to offer a series of tours departing from Pier 63 Maritime at 23rd Street and the Hudson River on a Saturday close to National Maritime Day (May 22). That year it was May 18, and the weather could not have been worse—heavy rain, wind, with the temperature in the low 50s. A total of seven people came to take the tours. At one point Stanford and I were the only people aboard the tour boat. Most people would have called the day a dismal failure and dropped the whole idea. Not Peter Stanford. He immediately started planning for the following year, and with better weather and better publicity, Stanford had a hit show. That year, 2,500 people took 90-minute “Hidden Harbor” tours to places along the Brooklyn, Staten Island and New Jersey shores that many of them didn’t know existed. Since then the grassroots team Stanford pulled together to run the tours has become the not-for-profit Working Harbor Committee of New York and New Jersey. 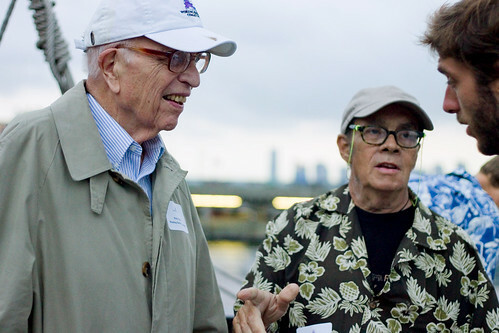 Peter Stanford was born and raised in NYC, a native of Brooklyn and a naval veteran of World War II, He authored hundreds of magazine articles and a several books, most recently A Dream of Tall Ships—How New Yorkers came together to save the city’s sailing-ship waterfront (Sea History Press, 2013). As we mourn his loss, we also pledge to continue his work. 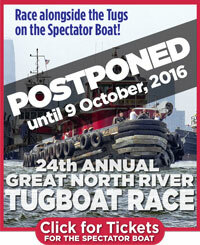 Our heartfelt sympathies to Norma and his family and friends across the maritime community.